“It’s the truth: this is the cruelty of sports. Liu Xiang is like a warrior. 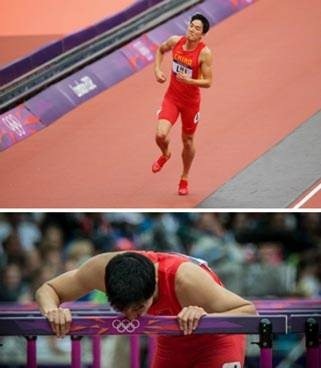 He jumped, knowing not going to make it to the end.” When Chinese famous 110-meter hurdle athlete Liu Xiang fell on the first hurdle at the London Olympics, the CCTV commentator, Yang Jian was not surprised to make the above report, acting like he already knew this is meant to happen. Yesterday a meeting was held in CCTV, confirming that they’ve already knew Liu’s severe injury before the game. Yang Jian even made four commentary plans. He commentated the game with tears was accused of faking and performing by netizens. Some media even used the title – Liu Xiang knows, CCTV knows, Leaders know, only audiences were waiting to see miracles – as their front page report. 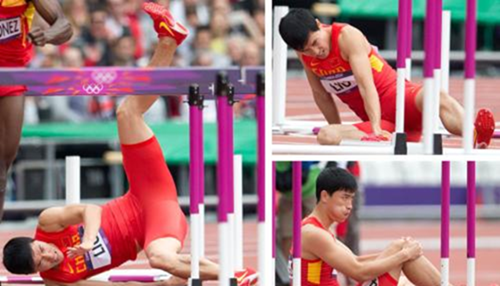 People point out that Liu Xiang was faking the fall because he kissed the wrong hurdle of his athletic track afterwards and he was shown being instructed by leaders before going to the track by a foreign cable network. When asked about his tears, Yang said He didn’t know where the tears came from. He even didn’t remember what he said during that time, because the tears just went out naturally and that is the real feeling that he got. The perfect reporting easily let people think this is not an accident. 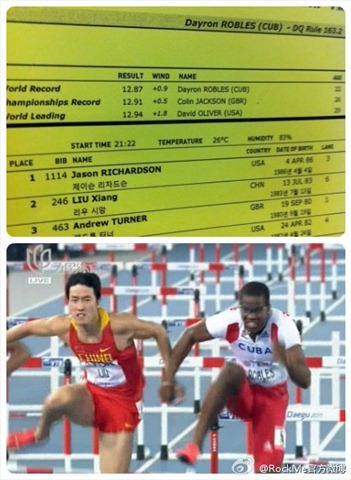 They said Liu Xiang fooled the world again after 2008 Beijing Olympic Games. But an insider said Liu was not sure he can do it or not before the game. About two months ago, Liu got 12’87” in a game and was in a very good condition. And after that, Liu got the instructions from “above” to win the gold medal in London Olympics. They gave Liu heavier load of exercises that his leg could not take, which eventually made his injury worse. This may be the real reason for him to quit the Olympics. 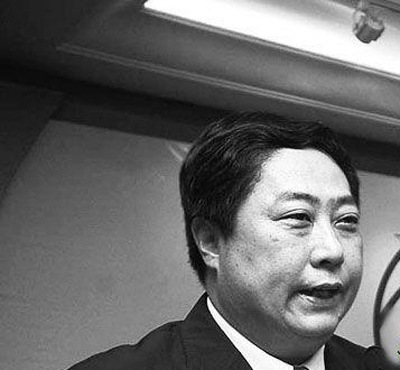 The chief of China state sports administration said earlier yesterday that China’s sports management system is suitable to China’s current condition. Aye he is a fake, a weak runner and a fool. He should have cheated and the west would be happy. BBC says nobody in China knows about his faking it. why would the west be happy if he cheated? Doug is selling off all the usable machinery. He blames the death of his business on unfair competition from the Chinese, accusing them of artificially devaluing their currency to undercut American goods. “You have to stop the Chinese from cheating,” he says. Don’t you know that the west will only be happy when they can blame the Chinese for cheating at everything and on whatever that goes wrong in their western countries. Don’t worry be happy, just blame China when you are down. One minute after the Chinese move away from their stir fry stations in Germany is when the Chinese will start looking for books on Anti-Semitism.